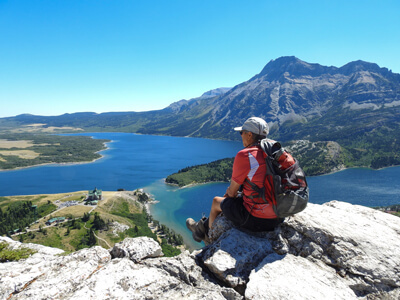 Bear’s Hump Trail is the most popular trail in the Waterton Lakes National Park. 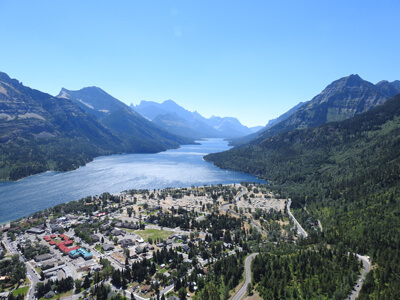 The hike offers majestic views of the village, the Waterton Valley and Mount Cleveland (the highest peak of the Waterton-Glacier International Peace Park). The Bear’s Hump Trail is a short hike that can be done in 1 hour, which makes it very accessible. Plan a lot of traffic during the peak season. It’s the trek that the park recommends to all the tourists who are looking for a short hike. Prepare yourself for several switchbacks and many stairs on the last half of the trail. 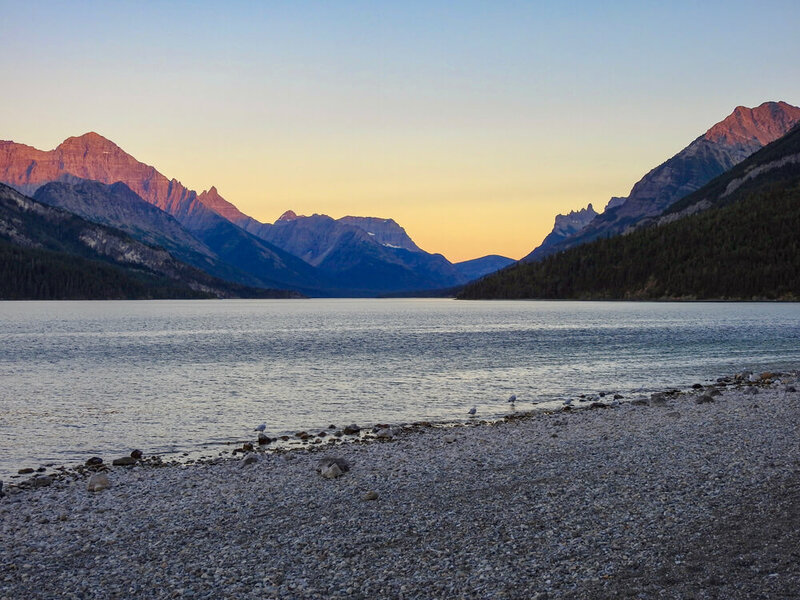 Nevertheless, it is the hike to make during your stay at the Watertown Lakes National Park. Go early, or start at the end of the day when the sun lights up the valley, the best time to take amazing pictures! 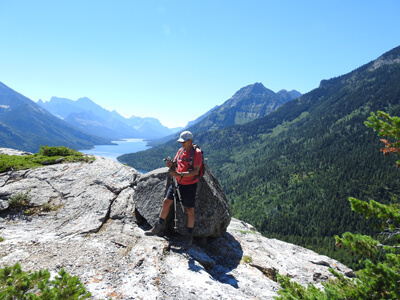 Bear’s Hump Trail is the ideal hike for a beautiful and short ride! Other relevant information: The beginning of the trail is just behind the park’s reception making parking not a problem.